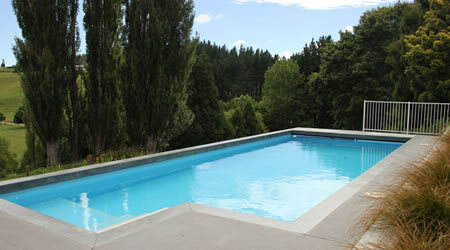 With over three decades designing and installing structural steel reinforced concrete pools throughout Waikato, Heritage Pools have an enviable position as one of the region's most respected swimming pool and landscape design companies. Specialists in building structural luxury swimming pools handcrafted from steel reinforced concrete and fitted with porcelain or glass tiles, our work constantly exceeds our client's expectations. Whether you are looking for a formal or a natural pool, Heritage Pools can deliver a distinctive pool and landscape environment of enduring quality for you and your family. Offering a comprehensive pool and landscape design service, we customise each concrete pool to meet the unique property and personal lifestyle requirements for every client. We take you through a full design process and then manage and construct the entire project using our own team. As accredited Registered Master Landscapers in the areas of Landscape Design and Landscape Construction, you can be assured that you are dealing with a team who constantly demonstrates excellence within our industry. If you're looking to build a lap pool for training, an infinity pool for your bach, or a spa pool to relax in, contact Heritage Pools, your Waikato concrete pool builders today! 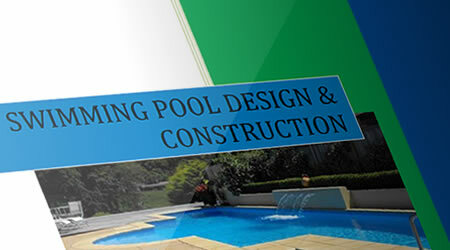 View our extensive portfolio of concrete swimming pools and landscaping design projects. Our tiled pools are custom designed to meet the exacting needs of our clients and provide a timeless interior surface. View our concrete pool portfolio now. 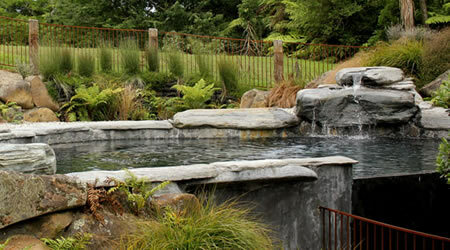 Learn more about our concrete pool design and landscaping services within the Waikato region. We design and install pools and spas which not only look great but meet our clients' needs and the requirements of their sites. Find out more about our services now. Download our free Swimming Pool Design and Construction Guide which explains everything you'll need to know about getting a new pool. From the design through to site installation, we'll walk you through every step of the way. In combination with the structural integrity of a steel reinforced concrete structure, a fully tiled pool provides the ultimate medium for your pool surface. With the use of modern adhesives, epoxy grouts, and water proof membranes, your pool's interior surface will be 100% waterproof. Our porcelain and glass tiles not only provide a smooth surface which is easy to clean and maintain but also create unique colours, textures and features unsurpassed by any other pool surface. For a new pool which is unmatched in quality, design, and finishes to any other, choose Dave and the team from Heritage Pools. Contact our pool construction and landscape designer Dave Collins today and let's get your new swimming pool built!